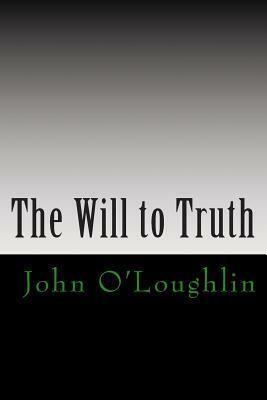 John O'Loughlin's main philosophical project of 1983 combines dialogues and essays with aphorisms and maxims in a kind of multigenre project in which essays form by far the greater proportion. However, nine dialogues is no mean undertaking, and they range from subjects as diverse - albeit interrelated - as the freeing of art from mundane attachments as it evolves from pagan to transcendental times; the distinction between Jews and Israelis; the development of awareness at the expense of emotion in art; the moral implications of sexual sublimation; the evolutionary struggle from gravity to curved space; the development of religion from the personal to the universal; the nature of petty-bourgeois art; the possibility of denominational progress in Western religion; and the apotheosis of the 'universal man'. Such, then, is the scope of the dialogue section, while the ensuing essays, not altogether surprisingly, enlarge upon many of the subjects first broached in the dialogues, as well as introduce a number of fresh considerations, including the main distinction between Christianity and Transcendentalism; the psychology of swearers; the irrelevance of punishment to a transcendental society; architectural and sartorial relationships to gravity both upwards and downwards; understanding Jazz in relation to other types of modern music; the distinction between philosophy and pseudo-philosophy; and the nature of ultimate music. Originally intended as a sort of sequel to the above, concluding sections shift the text on and up from the phenomenal realm of dialogues and essays to what the author holds to be the noumenal realm of aphorisms and maxims, in which the will is at one with the truth it strives to convey through the most concise means and is, if not Truth itself, then at any rate certainly truthful! Subjects treated here include the relation between sexuality and dress; the nature of the self; the significance of Israel; the role and nature of worship in popular religion; poetry verses philosophy; the evolution of the arts; the metaphysics of modern music; the psyche; God; ideology; and gender. John James O'Loughlin was born in Salthill, the seaside suburb of Galway City, County Galway, the Republic of Ireland, of Irish- and British-born parents in 1952. Following a parental split while still a child, he was brought to England by his mother and grandmother (who had initially returned to Ireland with intent to stay) in the mid-50s and subsequently attended schools in Aldershot (Hampshire), and, following the death and repatriation of his grandmother, Carshalton Beeches (Surrey), where, despite an enforced change of denomination from Catholic to Protestant in consequence of having been put into care by his mother, he attended a state school. Graduating in 1970 with an assortment of CSE's (Certificate of Secondary Education) and GCE's (General Certificate of Education), including history and music, he moved the comparatively short distance up to London and went on, via two short-lived jobs, to work at the Associated Board of the Royal Schools of Music in Bedford Square, WC1, where he eventually became responsible, as a clerical officer, for booking examination venues. After a brief flirtation with Redhill Technical College back in Surrey, where he had enrolled to study history, he returned to his former job in the West End but retired from the ABRSM in 1976 due to a combination of factors, and began to dedicate himself to writing, which, despite a brief spell as a computer tutor at Hornsey Management Agency in the late '80s and early '90s, he has continued with ever since. His novels include Changing Worlds (1976), Cross-Purposes (1979), Thwarted Ambitions (1980), Sublimated Relations (1981), and Deceptive Motives (1982). From the mid-80s Mr O'Loughlin more or less exclusively dedicated himself to philosophy, his true literary vocation, and has penned more than sixty titles of a philosophical order, including Devil and God - The Omega Book (1985-6), Towards the Supernoumenon (1987), Elemental Spectra (1988-9), and Philosophical Truth (1991-2). John O'Loughlin lives in Crouch End, north London, England, UK, where he continues to regard himself as a kind of bohemian intellectual.